Resolve the skill comparison at this conspiracy before any of its struggles occur. If you win this conspiracy before any struggles occur, you may choose which of its struggles resolve. 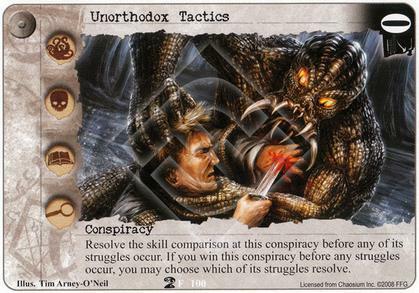 Conspiracy cards worded like Story cards?